Unum’s individual short term disability insurance replaces a portion of your income if you are unable to work due to a covered injury or illness. This coverage can pay a monthly benefit to provide some income during a time of need. Common reasons people use this coverage include injuries, a covered pregnancy, and digestive problems - such as gall bladder surgery. Coverage is available to eligible employees age 17-69 (to age 64 in CA and NY) who are actively at work*. The affordable premium is based on your age and the benefit amount you elect when you buy the insurance. It will not automatically increase while the policy is in force, unless you elect to increase your coverage. Your policy is guaranteed renewable, until age 72, as long as you pay the premiums on time. Your plan includes a Waiver of Premium benefit at no additional cost to you. This means you do not have to pay your premium after 90 days of a covered total disability, or the elimination period, whichever is longer. Premium will continue to be waived as long as you remain totally disabled as defined in the policy up to the maximum benefit period. You own the policy so you can keep this coverage if you leave the company or retire. 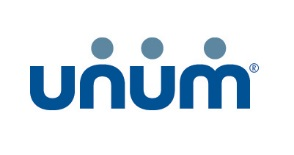 Unum will bill you directly for the same premium amount. This plan includes convenient payroll deduction, so you don’t have to remember to write a check for your premiums. Coverage becomes effective on the first day of the month in which payroll deductions begin. *Eligible employees must be actively at work to apply for coverage. Being actively at work means on the day the employee applies for coverage, the individual must be working at one of his/her company’s business locations; or the individual must be working at a location where he/she is required to represent the company. If applying for coverage on a day that is not a scheduled workday, the employee will be considered actively at work as of his/her last scheduled workday. Employees are not considered actively at work if they are on a leave of absence. **For CA, HI, NJ, NY and RI, the maximum benefit percentage is 40%. This policy or its provisions may vary or be unavailable in some states. The policy has exclusions and limitations which may affect any benefits payable. See the actual policy or your Unum representative for specific provisions and details of availability. This policy provides disability income insurance only. It does NOT provide basic hospital, basic medical or major medical insurance as defined by the New York State Insurance Department. The expected benefit ratio for this policy is 50%. This ratio is the portion of future premiums which the company expects to return as benefits, when averaged over all people with this policy.